Dansk - albansk møde for 205 år siden. 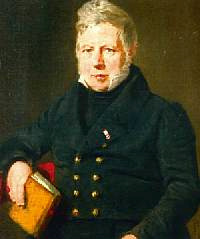 I efteråret 1812 besøger den danske filolog, arkæolog og senere professor Peter Oluf Brøndsted (1780 - 1842) Ali Pasha Tepelene. Ali Pasha beherskede som statholder for det osmanniske rige store dele af det nuværende sydalbanien og nordgrækenland. Brøndsted skriver hjem om lange samtaler med Ali Pasha og der foretages efter Brøndsteds anvisning arkæologiske udgravninger. Brønsted er imponeret over Ali´s hof, men han er også skeptisk overfor Ali Pashas brutalitet som hersker. Den engelske digter Lord Byron besøgte et par år tidligere, nemlig i 1809/1810, i en længere periode Ali Pashas hof. 22.1.1788-19.4.1824, britisk digter mm. portrætteret i traditionelt albanerkostume erhvervet under Middelhavsrejsen 1809-11. Rejsen gav stof til gennembrudsværket Childe Harold. Det var ikke mindst Byrons brug af lokalkolorit fra Middelhavsområdet kombineret med en stærkt kritisk holdning til de etablerede politiske magthavere rundt om i Europa, der sikrede hans internationale ry som romantikkens førende digter. Byron skriver i 1810 hjem: "I have now been some time in Turkey. The place is on the coast but I have traversed the interior of the province of Albania on a visit to the Pacha. I left Malta in the Spider, a brig of war, on the 21st of September and arrived in eight days at Prevesa. 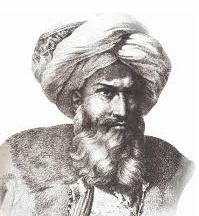 I thence have been about 150 miles as far as Tepaleen, his highness' country palace, where I staid three days. The name of the Pacha is Ali, and he is considered a man of the first abilities, he governs the whole of Albania (the ancient Illyricum), Epirus and part of Macedonia. His son Velly Pacha, to whom he has given me letters, governs the Morea and he has great influence in Egypt, in short he is one of the most powerful men in the Ottoman empire. When I reached Yanina the capital after a journey of three days over the mountains through country of the most picturesque beauty, I found that Ali Pacha was with his army in Illyricum besieging Ibraham Pacha in the castle of Berat. He had heard that an Englishman of rank was in his dominion and had left orders in Yanina with the Commandant to provide a house and supply me with every kind of necessary, gratis, and though I have been allowed to make presents to the slaves etc. I have not been permitted to pay for a single article of household consumption. I rode out on the vizier's horses and saw the palaces of himself and grandsons; they are splendid but too much ornamented with silk and gold. I then went over the mountains through Zitza, a village with a Greek monastery (where I slept on my return) in the most beautiful situation (always excepting Cintra in Portugal) I ever beheld. In nine days I reached Tepaleen, our journey was much prolonged by the torrents that had fallen from the mountains and intersected the roads. I shall never forget the singular scene on entering Tepaleen at five in the afternoon as the sun was going down, it brought to my recollection (with some change of dress however) Scott's description of Branksome Castle in his lay, and the feudal system. The Albanians in their dresses (the most magnificent in the world, consisting of a long white kilt, gold worked cloak, crimson velvet gold laced jacket and waistcoat, silver mounted pistols and daggers), the Tartars with their high caps, the Turks in their vast pelisses and turbans, the soldiers and black slaves with the horses, the former stretched in groupes in an immense open gallery in front of the palace, the latter placed in a kind of cloister below it, two hundred steeds ready caparisoned to move in a moment, couriers entering or passing out with dispatches, the kettle drums beating, boys calling the hour from the minaret of the mosque, altogether, with the singular appearance of the building itself, formed a new and delightful spectacle to a stranger. ....His Highness is sixty years old, very fat and not tall, but with a fine face, light blue eyes and a white beard, his manner is very kind and at the same time he possesses that dignity which I find universal amongst the Turks. He has the appearance of anything but his real character, for he is a remorseless tyrant, guilty of the most horrible cruelties, very brave and so good a general, that they call him the Mahometan Buonaparte. Napoleon has twice offered to make him King of Epirus, but he prefers the English interest and abhors the French as he himself told me. He is of so much consequence that he is much courted by both, the Albanians being the most warlike subjects of the Sultan, though Ali is only nominally dependent on the Porte. He has been a mighty warrior, but is as barbarous as he is successful, roasting rebels etc. etc. P.S. I have some very "magnifique" Albanian dresses, the only expensive articles in this country. They cost 50 guineas each and have so much gold they would cost in England two hundred. I have been introduced to Hussein Bey, and Mahmout Pacha, both little boys, grandchildren of Ali at Yanina. They are totally unlike our lads, have painted complexions like rouged dowagers, large black eyes and features perfectly regular. They are the prettiest little animals I ever saw, and are broken into the court ceremonies already. The Turkish salute is a slight inclination of the head with the hand on the breast, intimates always kiss. Mahmout is ten years old and hopes to see me again, we are friends without understanding each other, like many other folks, though from a different cause. He has given me a letter to his father in the Morea, to whom I have also letters from Ali Pacha". More about Ali Pasha here. More about Peter Oluf Brøndsted here.